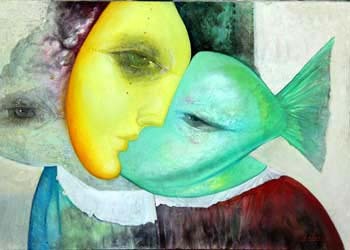 Gevorg Yeghiazarian was born in Armenia in 1963. 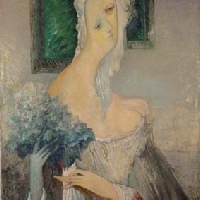 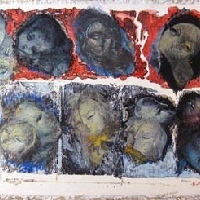 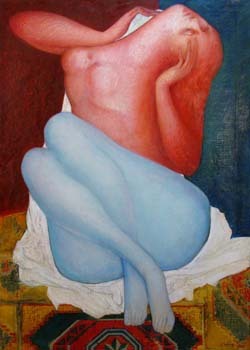 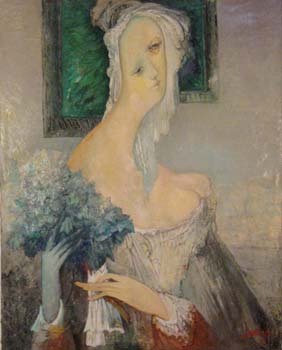 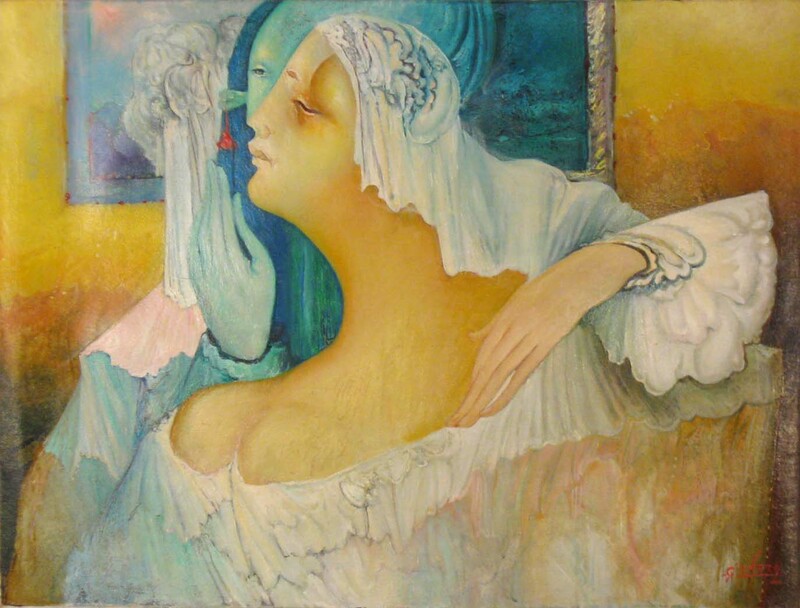 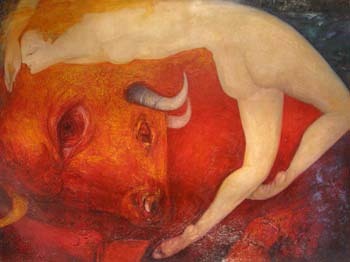 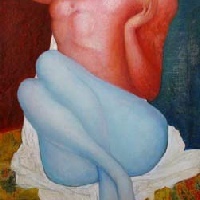 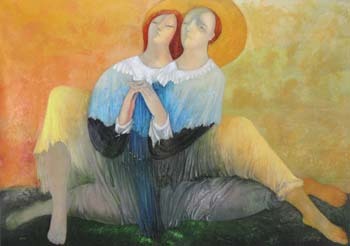 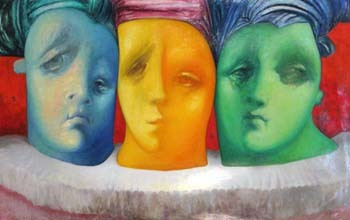 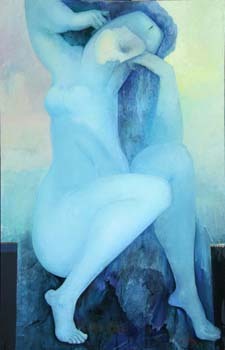 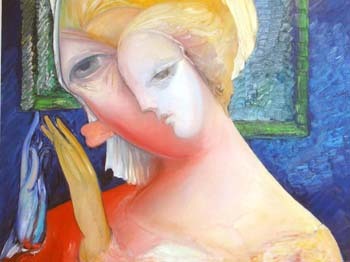 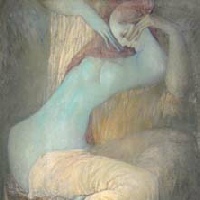 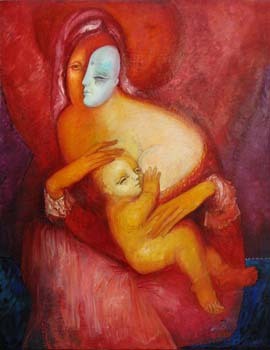 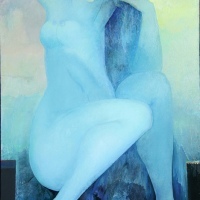 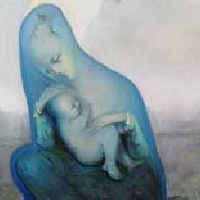 He began his studies at the Panos Terlemezian Art School and Fine Arts Institute in Yerevan. 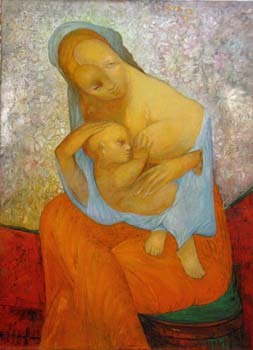 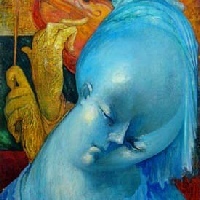 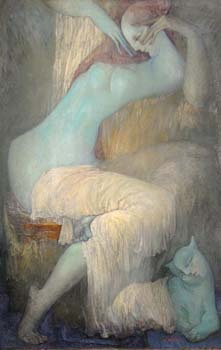 Subsequently, he attended the St. Petersburg Repin Academy of Art. 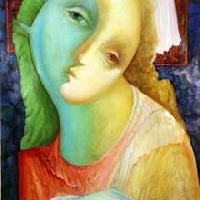 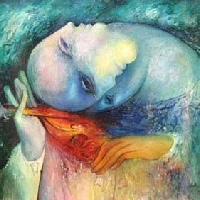 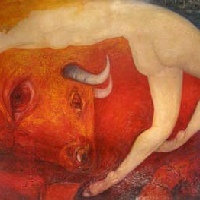 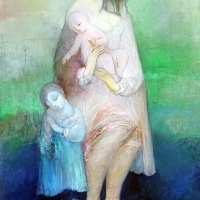 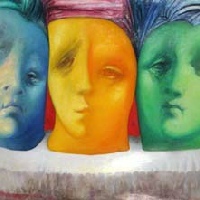 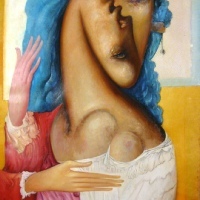 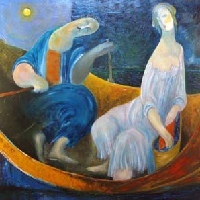 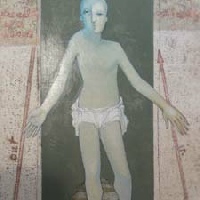 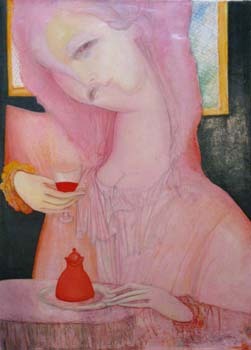 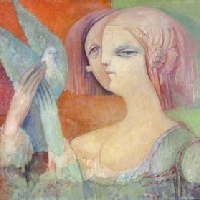 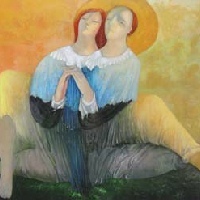 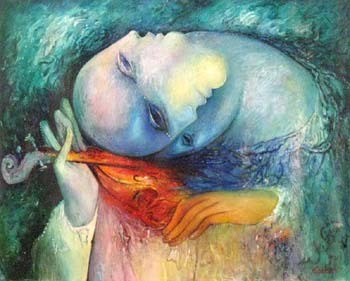 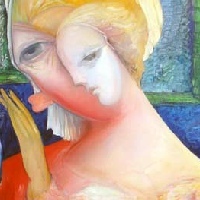 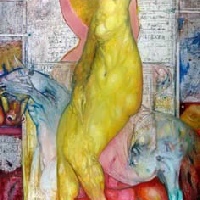 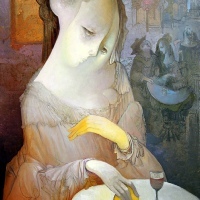 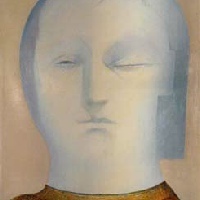 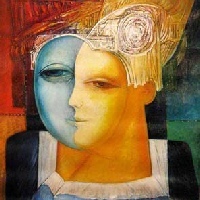 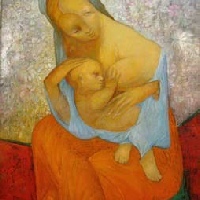 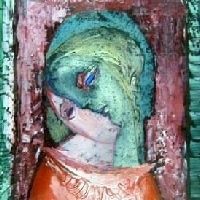 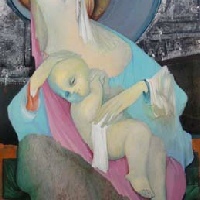 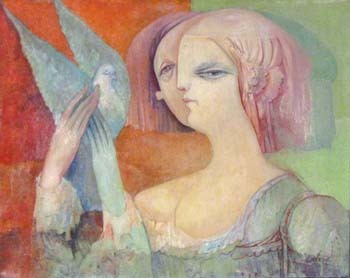 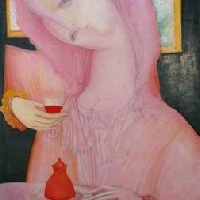 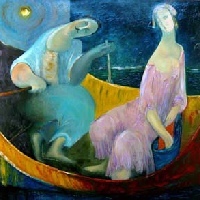 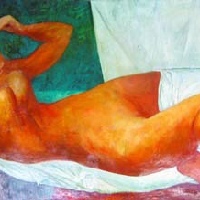 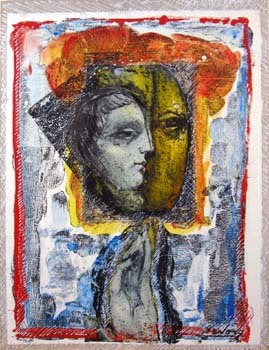 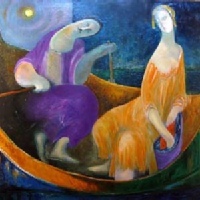 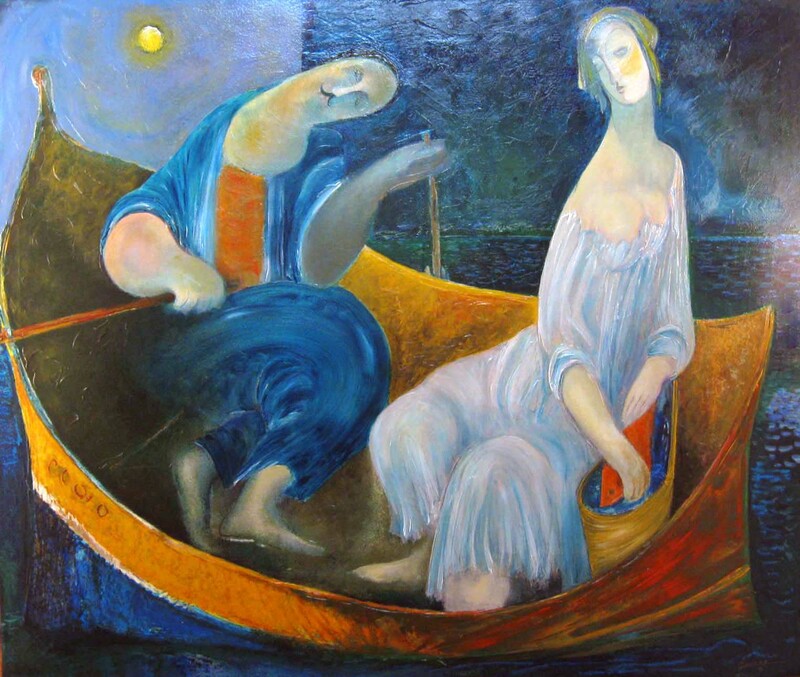 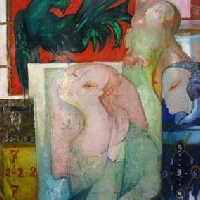 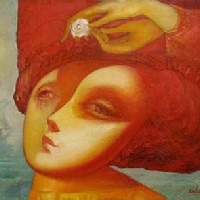 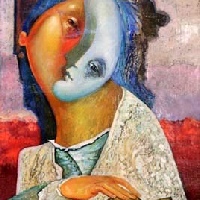 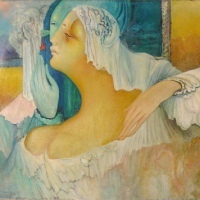 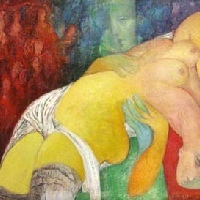 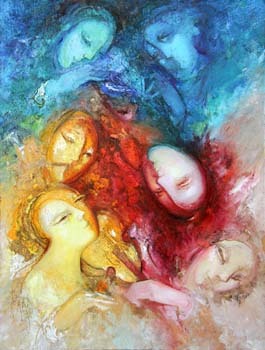 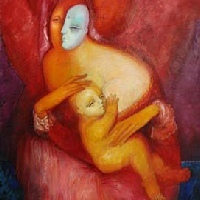 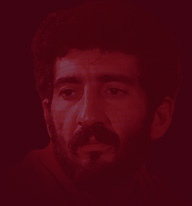 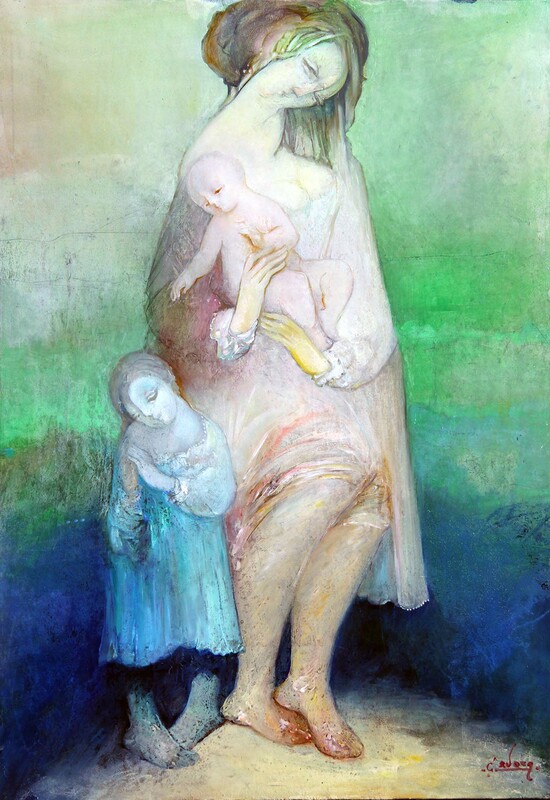 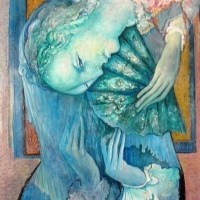 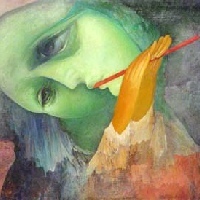 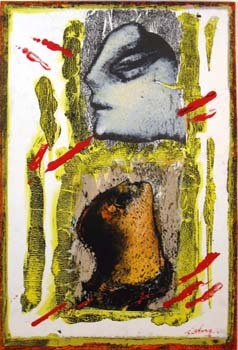 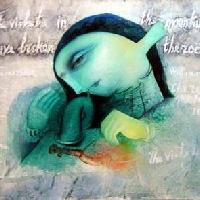 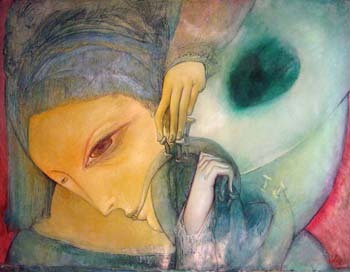 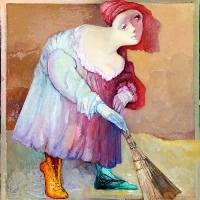 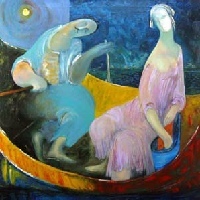 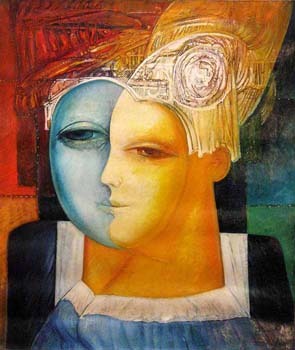 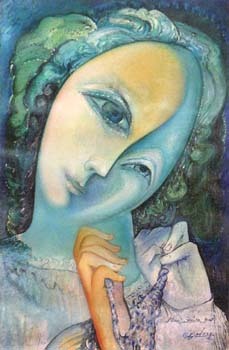 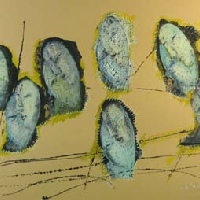 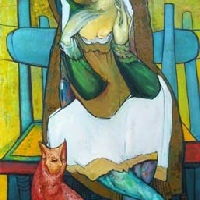 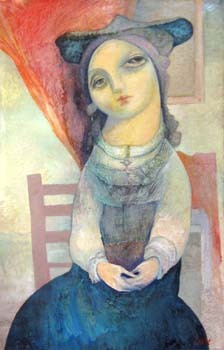 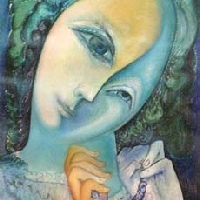 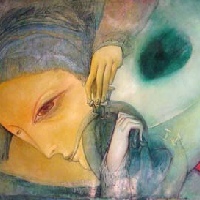 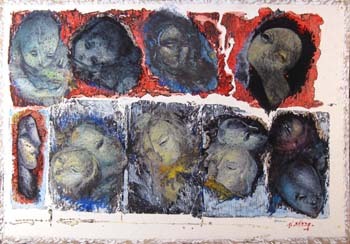 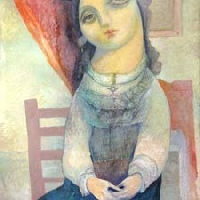 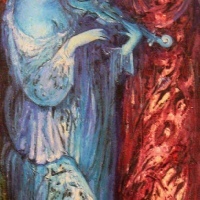 In 1994, he became a member of the "Union of Artists" of Armenia, and in 1998 he became a member of the International Association of Arts (UNESCO). 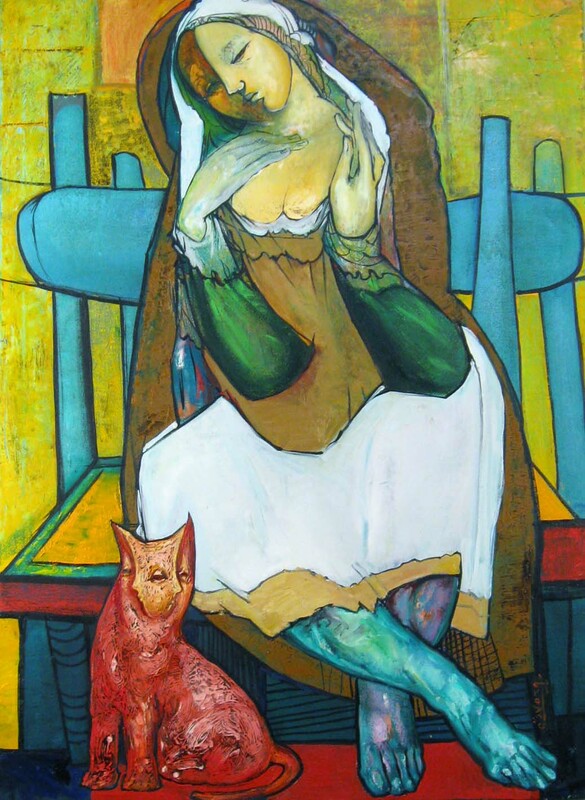 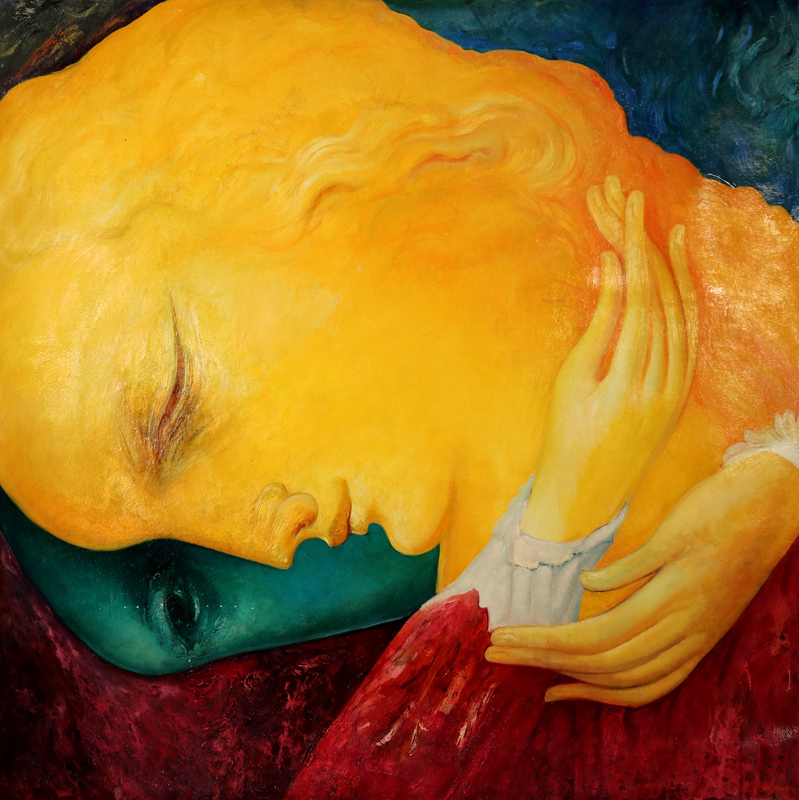 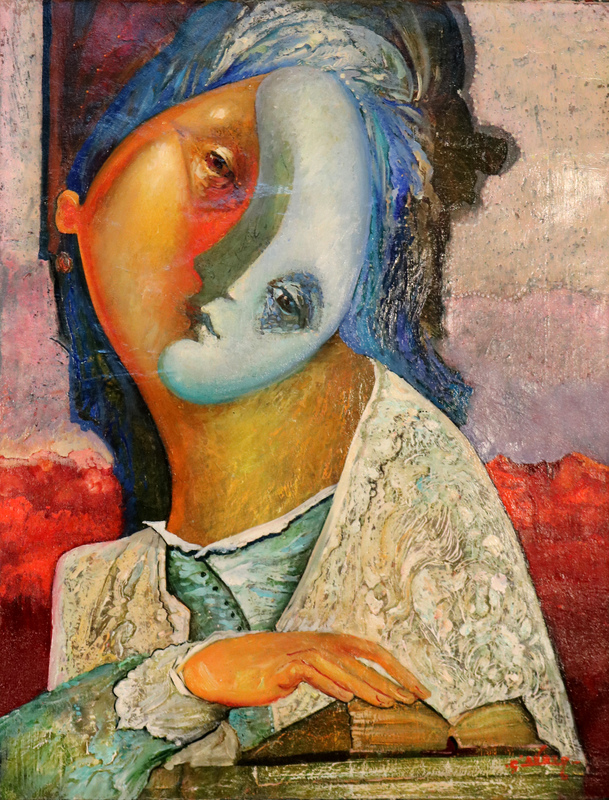 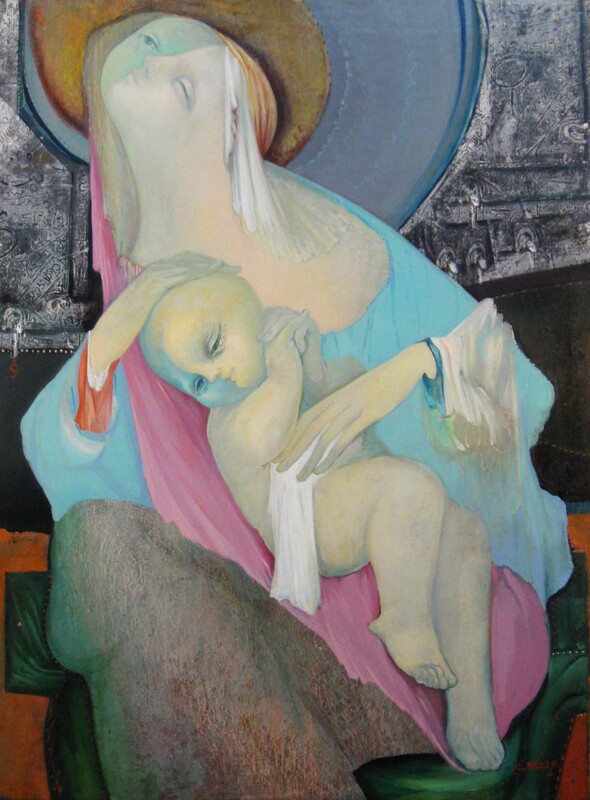 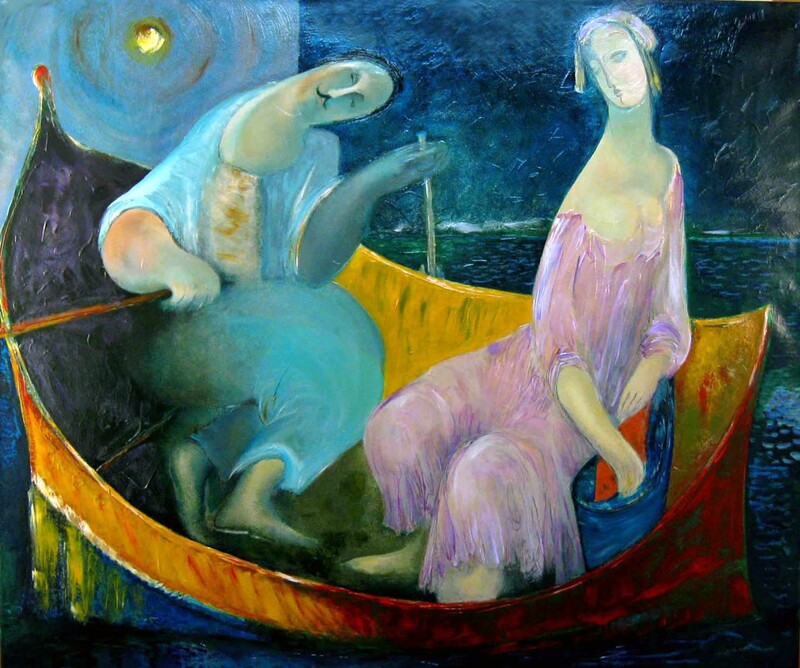 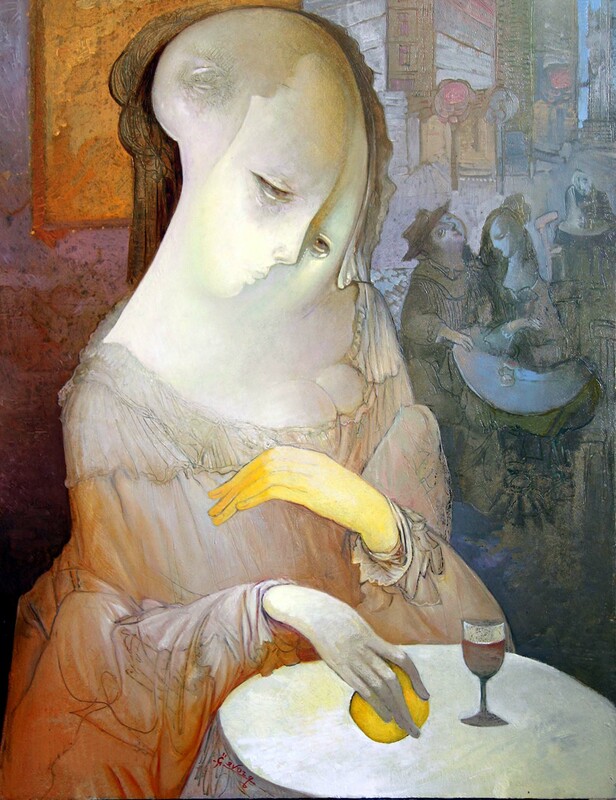 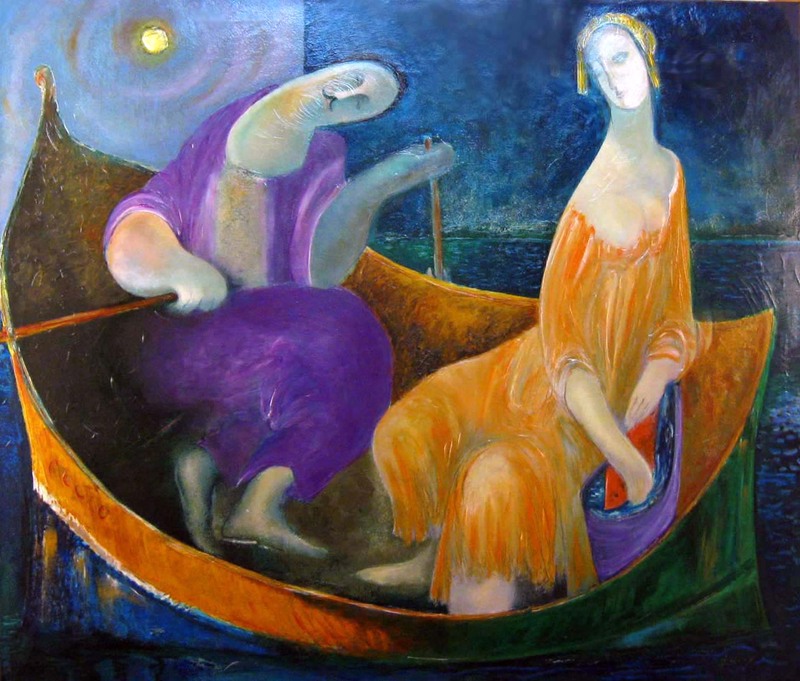 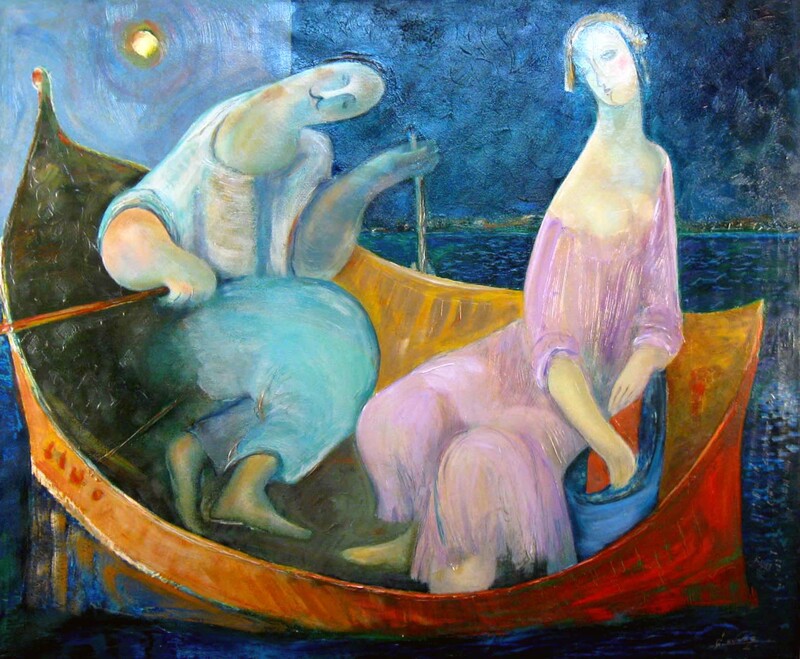 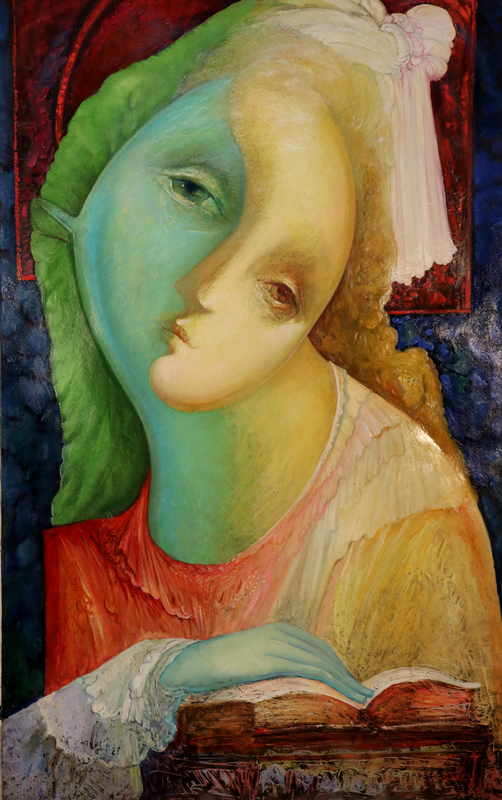 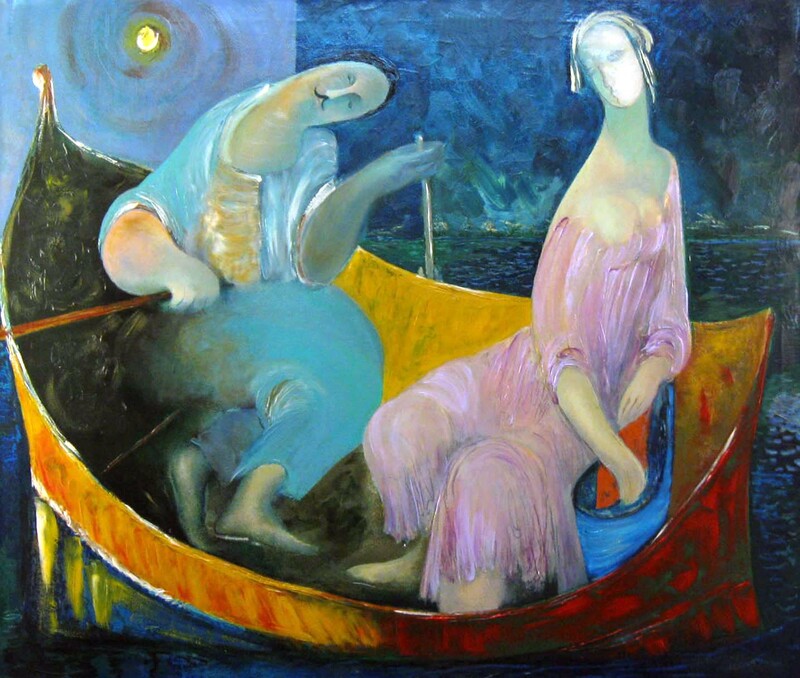 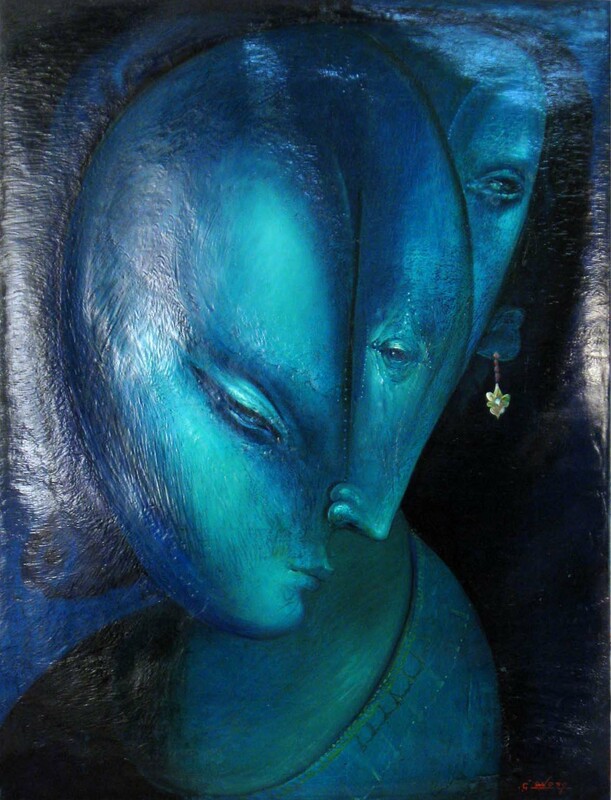 Gevorg combines his sensitive inner world with his surrounding reality; hence, moody melancholic works which reveal the artist's complex meditations. 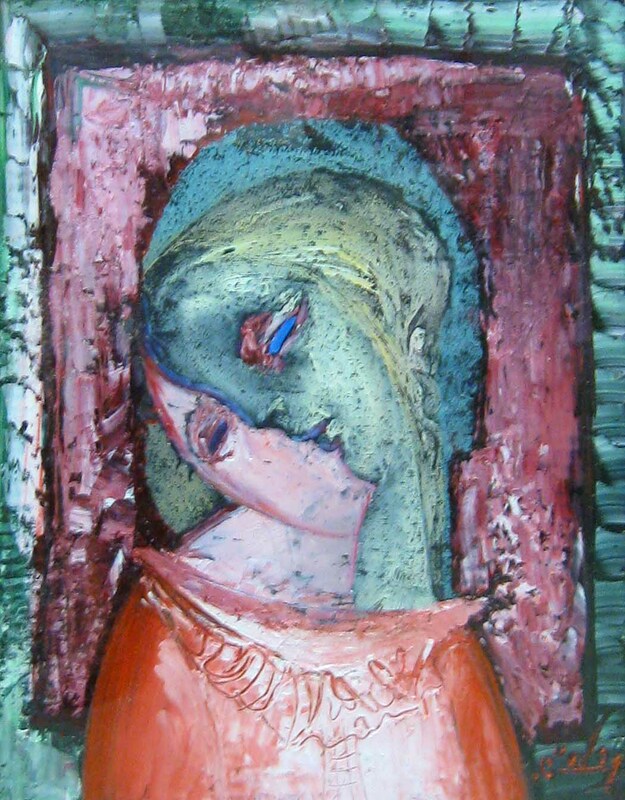 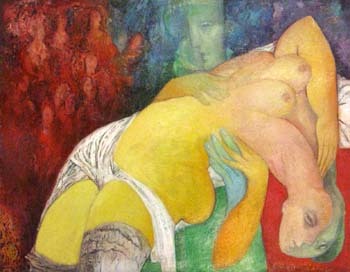 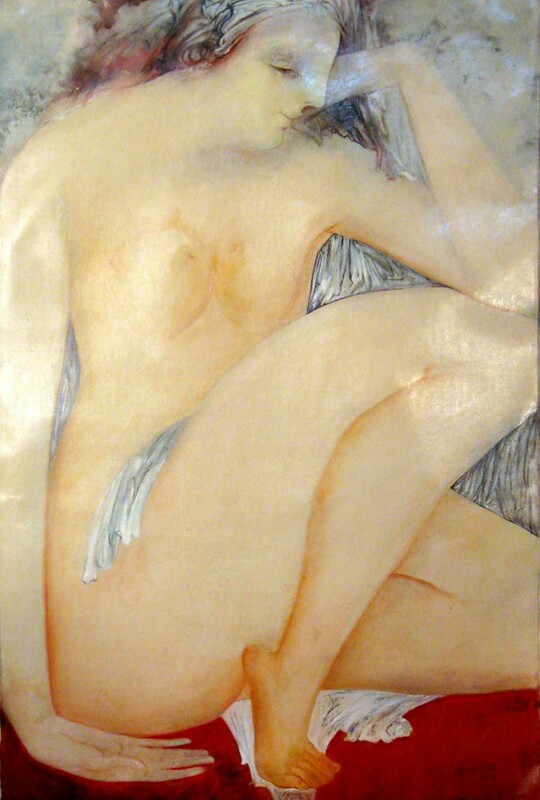 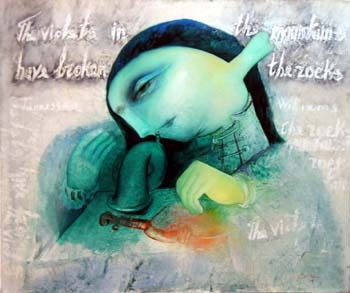 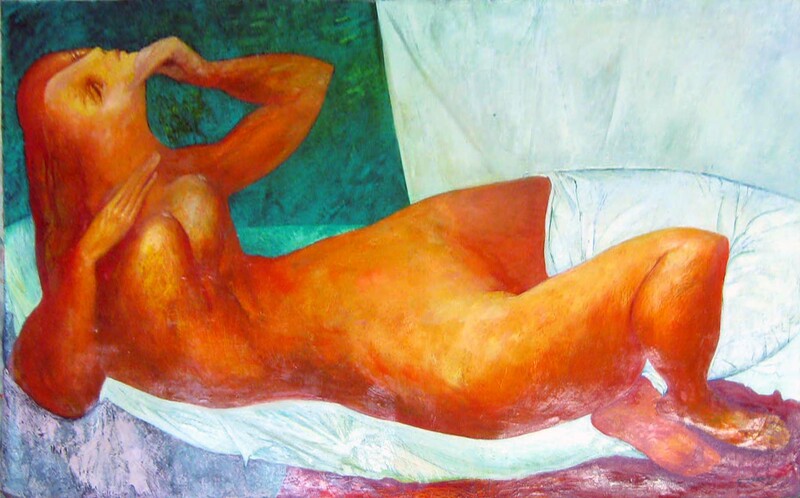 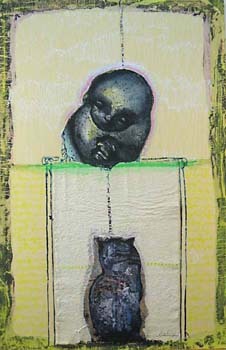 His paintings are marked with poetic lyricism, and the uncertain boundary between actuality and the imaginary. 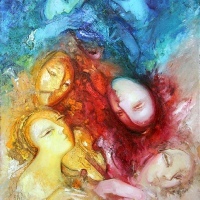 There is an interdependence of light and color which is dominated by contrasts of space and substance, rest and strain, and transparency and opaqueness of colors. 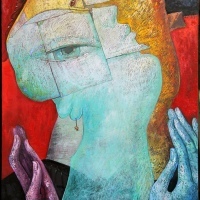 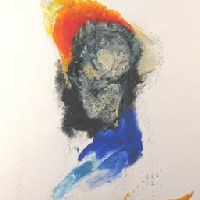 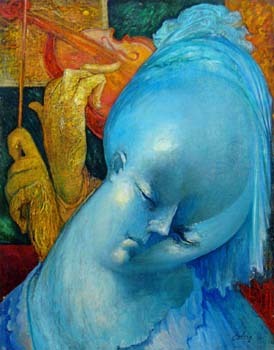 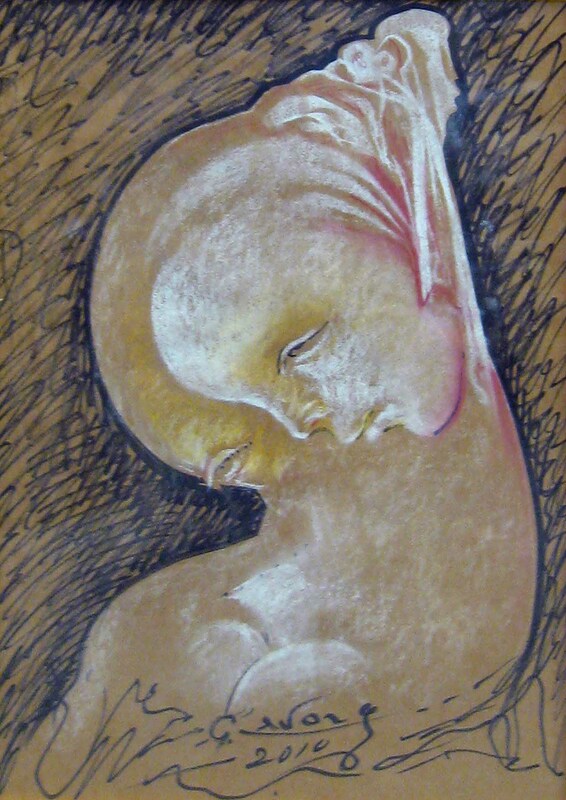 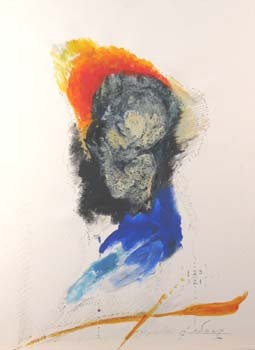 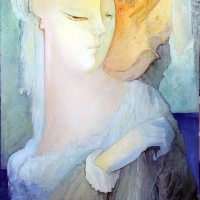 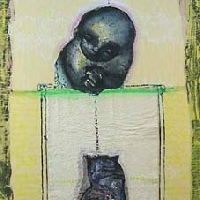 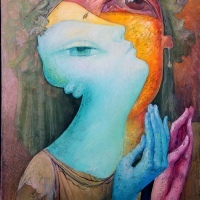 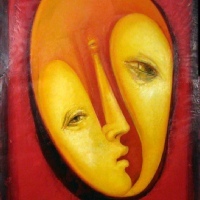 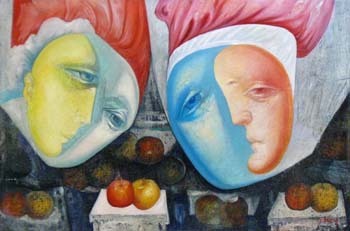 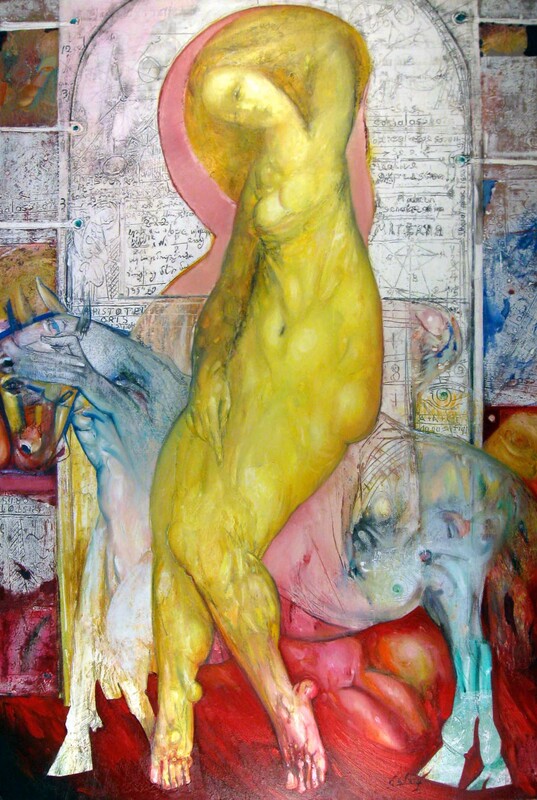 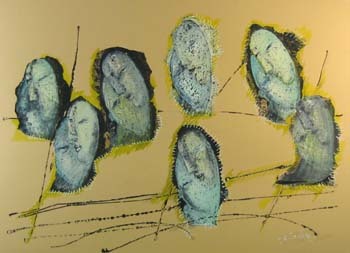 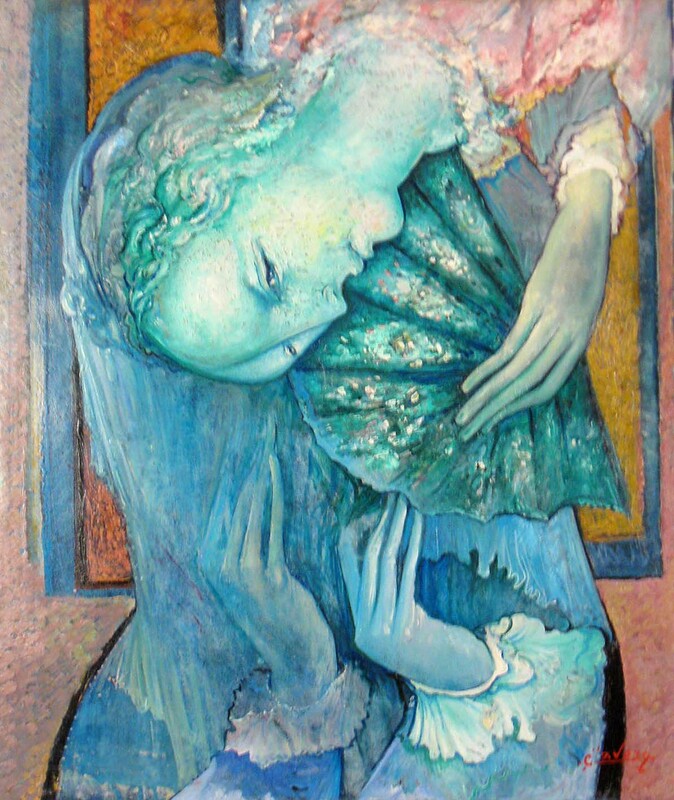 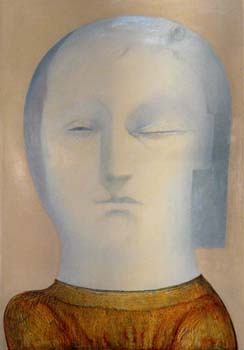 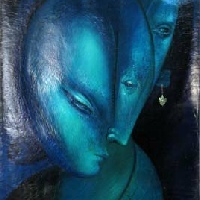 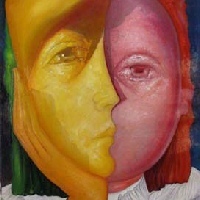 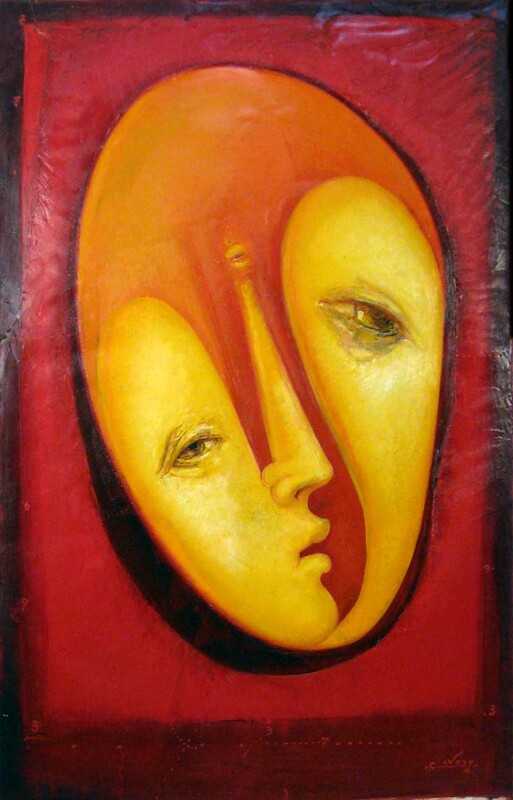 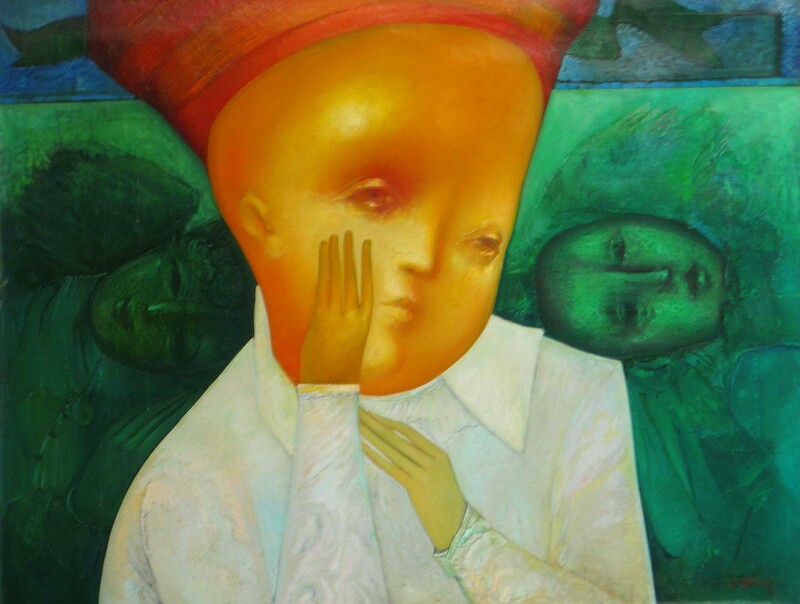 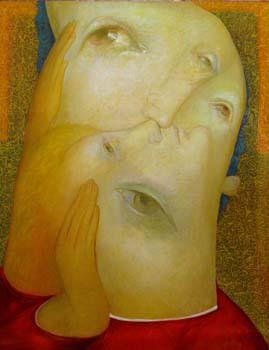 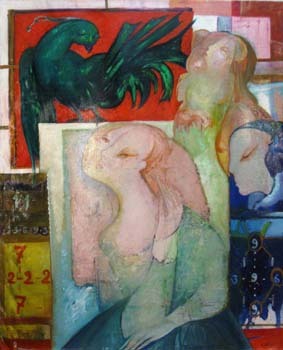 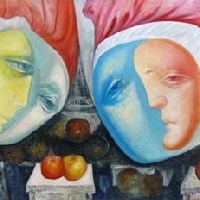 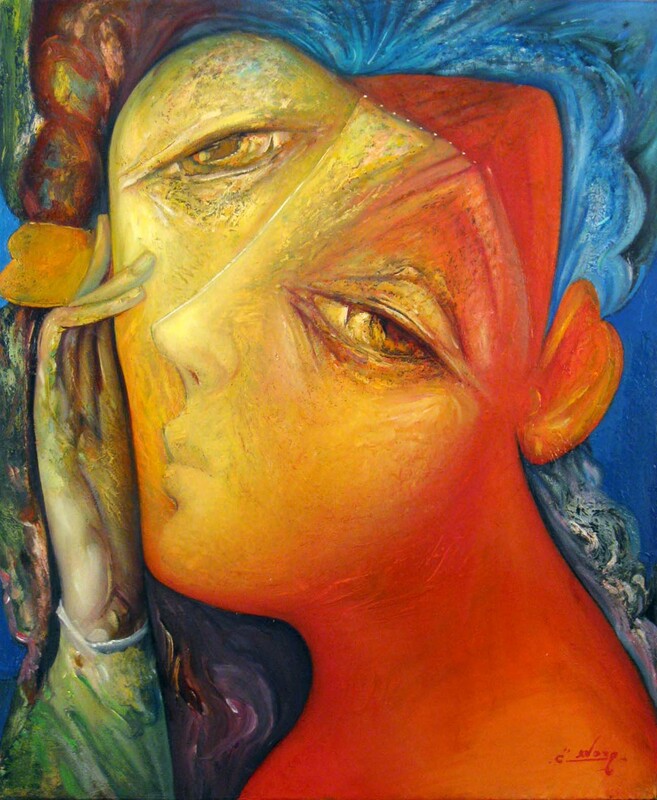 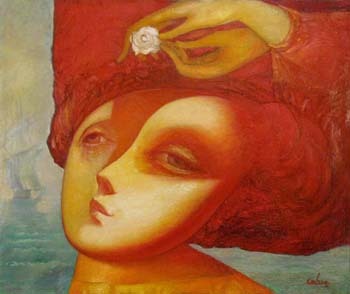 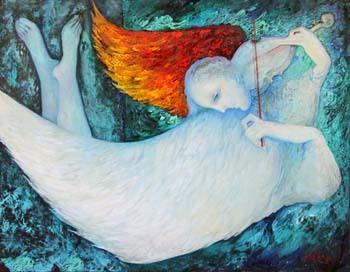 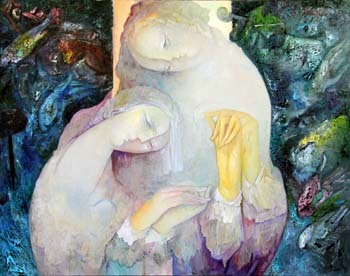 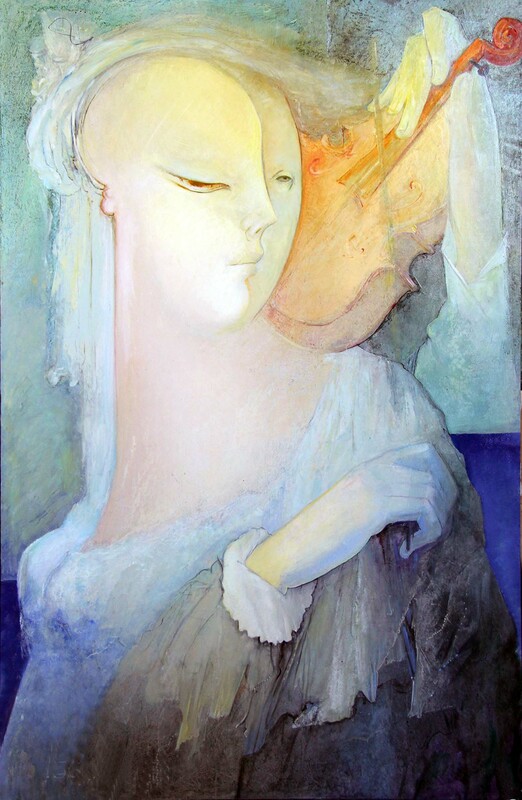 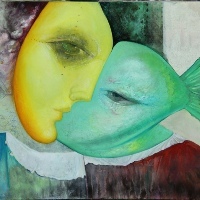 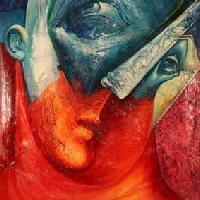 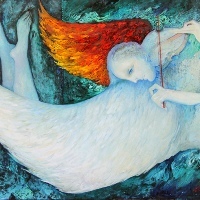 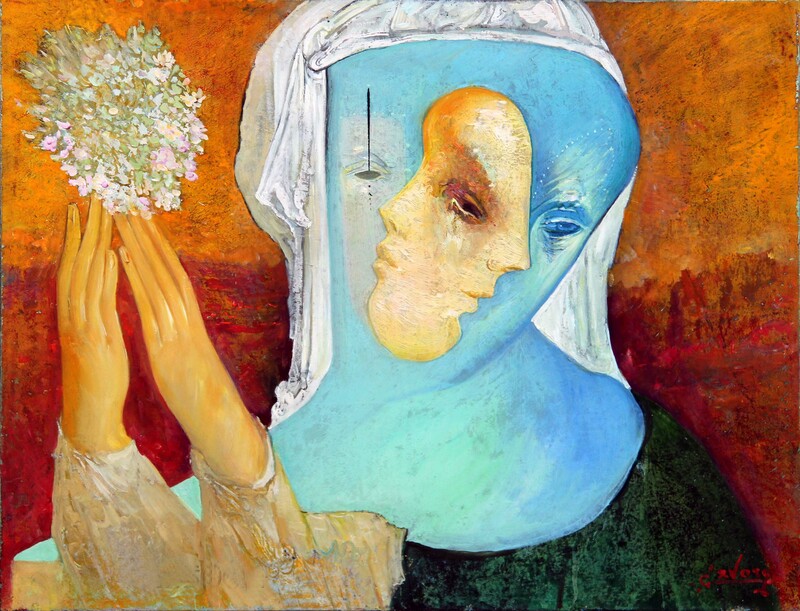 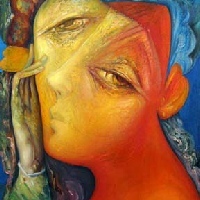 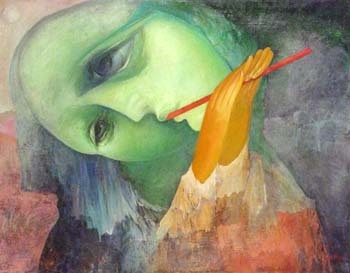 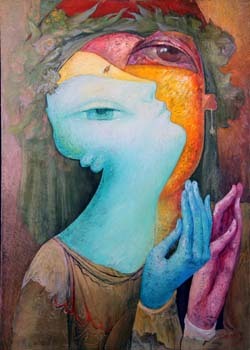 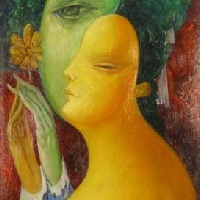 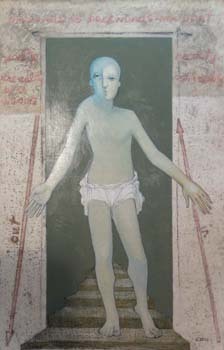 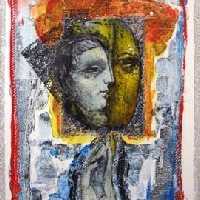 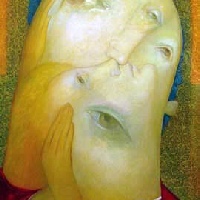 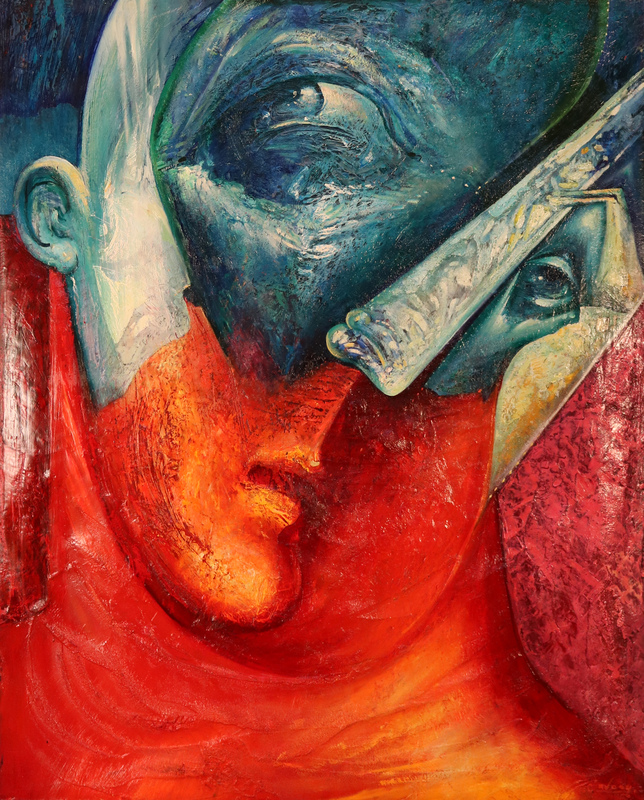 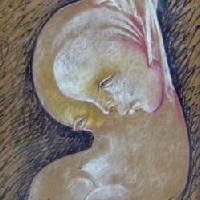 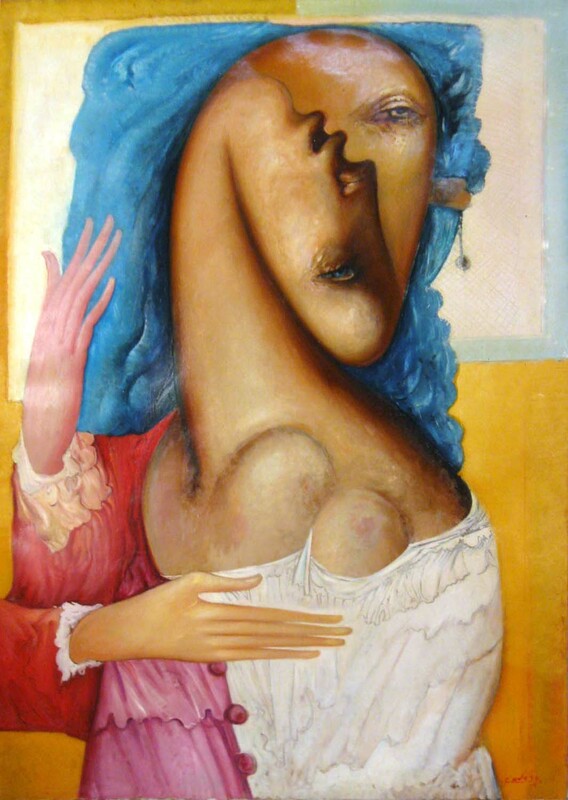 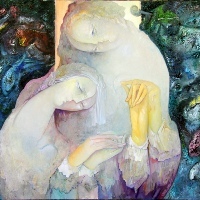 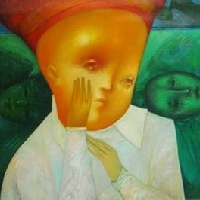 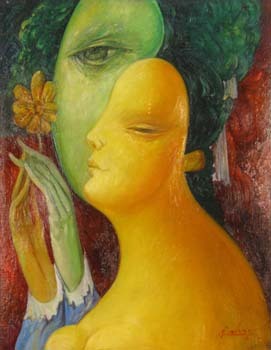 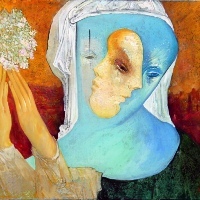 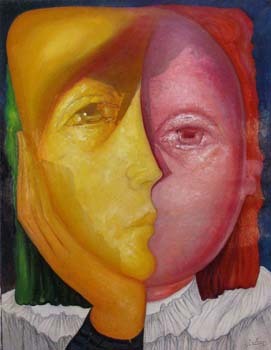 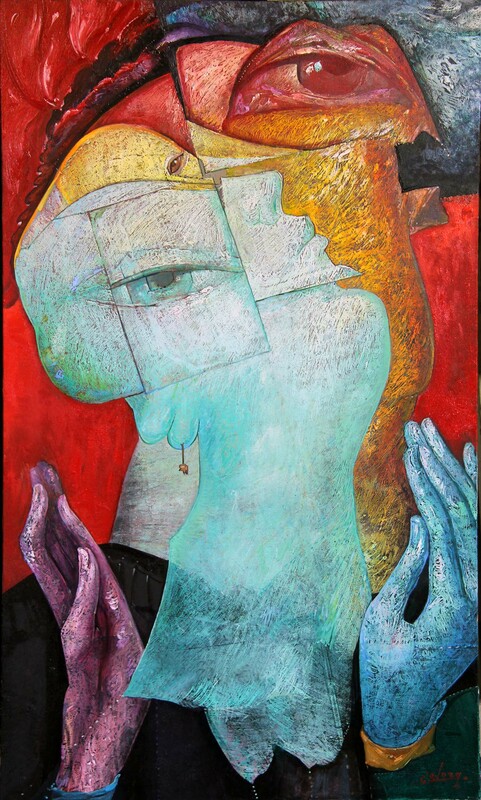 Characterized by self-isolation and a profound concentration of thought and emotions, Gevorg is a unique and extraordinary artist. 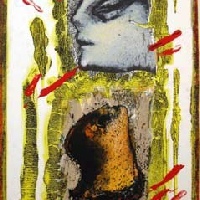 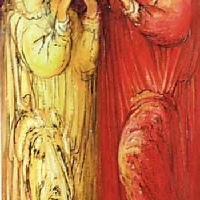 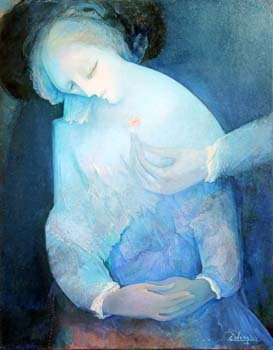 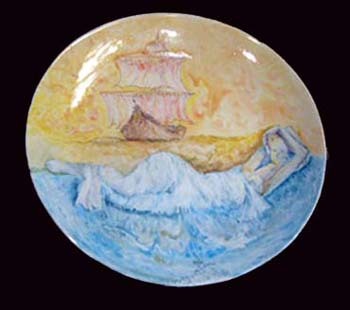 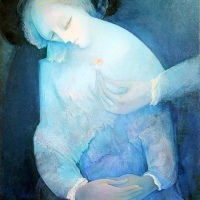 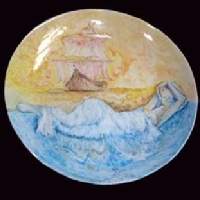 In whatever medium he chooses; oil, ceramics, prints, or sculpture, his works are an expression of utter enchantment, mystery and the eternal.